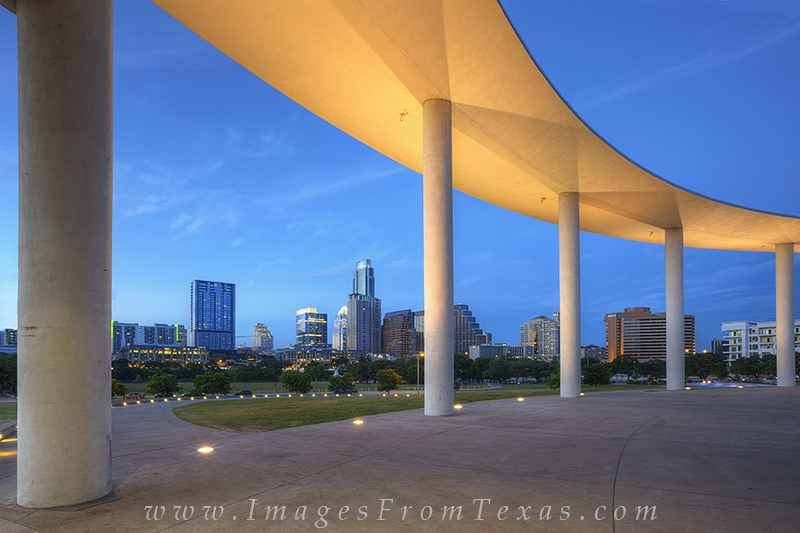 From the pavillion of the Long Center, you have a wonderful view of downtown Austin. The lights shine and the skyline of the Texas capitol city begins to light up. The Austonian is the tallest building of the cityscape, rising high over Ladybird Lake and Zilker Park. Photo © copyright by Rob Greebon.